Buy online our clothing and fashion fabric Crepe Se Geometrico K04800. Crepe de chine fabric in pure silk, semi-opaque, with blurred effect, printed with geometric pattern tie in yellow, green and gray. Suitable for shirt, chemisier, dress. 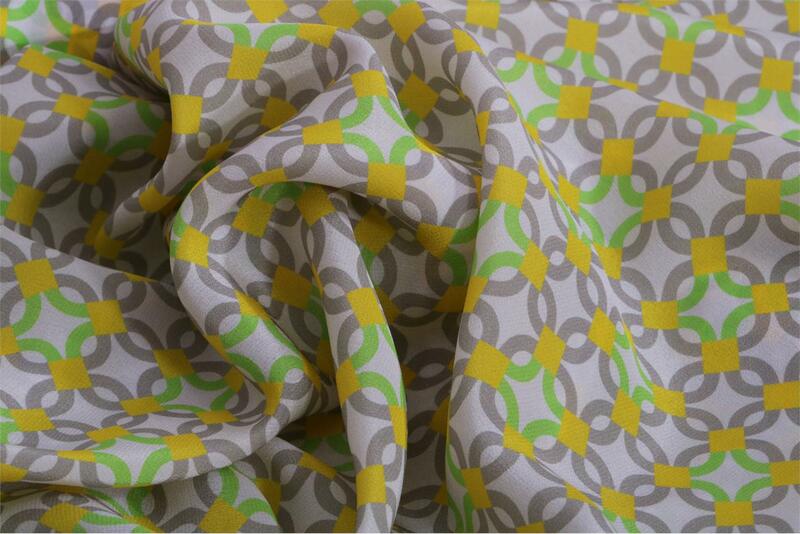 Green, Multicolor, Yellow Silk Crêpe de Chine Geometric Print fabric for Dress, Shirt.